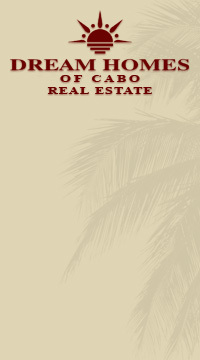 Cabo San Lucas Real Estate- Cabo San Lucas condos, homes, lots, fractional ownership properties for sale. The Pedregal was Cabo San Lucas' first high-end residential neighborhood, a 360-acre parcel located between the Pacific Ocean and Sea of Cortez . Development started in 1974 and continues today, though most of the 780 home sites have been built upon. The neighborhood is Cabo San Lucas' finest community, characterized by its cobble stone streets and Mediterranean style homes built into the cliffs, near the famous Cabo San Lucas arch. In 2004 Capella de Pedregal, a high-end fractional project, was launched on the Pacific side of Cabo San Lucas, with access through a 100 foot tunnel punched through the mountain. Capella consists of 20 wholly-owned residences and 31 fractional villas of ‘Mexican contemporary” design. Also currently in development are three condominium projects perched on the hill with views of Cabo San Lucas and the marina, Cabo Viejo, Bravisto and Las Cascadas. They have been very successful demonstrating the desirability of this in-town location. Blue Bay, a condominium property with a very contemporary design, was built and recently sold out. Cabo San Lucas also includes over a 300-slip marina, which holds many international fishing tournaments. One of the highest paid fishing tournaments in the world is the Bisbee's Black and Blue Marlin Tournament with around 300 participants and the prize of over $3 million US Dollars. Nearby, there is the Puerto Paraiso mall with its upscale shopping, dining and entertainment plaza, which includes cinemas and a bowling alley. Cabo del Sol is an 1800-acre resort development located about six miles from Cabo San Lucas. With 2 miles of Sea of Cortez coastline, it's a spectacular development consisting of a golf course, hotels, single family homes and home sites and condominiums for sale. This master plan is the home of Jack Niklaus's Ocean Course, rated by Golf Magazine as number 70 of the “Top 100 Courses in the World.” It has hosted many PGA tournaments and its ocean side holes are world famous and highly sought after by golfers visiting the area. The second golf course was designed by Tom Weiskopf and opened in 2002. There is an incredible club house with ocean views that serves an excellent brunch on Sundays. Please call our real estate specialists about the real estate investment opportunities in Cabo San Lucas and the Los Cabos region at 800-403-6597. About 35 years ago, the "Fonatur", a Mexican government agency in charge of tourism, begun to focus on the foreign investors as the main income source for the country and put its emphasis on the resort infrastructure. The current airport in San Jose del Cabo opened in 1984 and the big developers started numerous projects in the Los Cabos area. Before that, the only hotels operating and catering to Hollywood celebrities, such as John Wayne, Phil Harris, Bing Crosby was Palmilla Resort and later the Hacienda Resort. In the 1970's opened up its doors Twin Dolpins, Solmar and Finisterra. Today, Cabo San Lucas and the Los Cabos region look very different as many visitors would agree. The Los Cabos corridor offers five new signature championship golf courses, designed by famous golf professionals, such as, Jack Nicklaus, Robert Trent Jones, Tom Weiskopf and Tom Fazio. In just a decade, Los Cabos became to be recognized as the golf Mecca of Latin America. Along the Los Cabos shorline, are new high-end developments, such as Palmilla, El Dorado Golf and Beach Club, Cabo Del Sol, Punta Ballena, Querencia, Chileno Bay and Puerto Los Cabos golf and marina community. For more information about Cabo San Lucas real estate or to request a list of for sale properties, please contact our Los Cabos real estate agents at 800-403-6597 or send an e-mail to: info@dreamhomesofcabo.com.